ast night Sony picked up the ball Microsoft had dropped and made a triple play, providing the services, the hardware, and the games audiences worldwide wanted to see, albeit with a few notable exceptions. "I'm going to shut up now and play the game" said Marcus Smith of Insomniac Games as he demoed Resistance 3. My heart sank when I heard those words, expecting the same wordless, dull stage demos that Microsoft had delivered earlier in the day. Thankfully, this wasn't the mantra for majority of Sony's press conference though it did fall victim to many of the issues of pressers past; the delayed start, a bloated length and an overwhelming deluge of smaller announcements. Sony kept to tradition: the delayed start, a bloated length and an overwhelming deluge of smaller announcements.Worst still was that, much like Microsoft's presentation, there weren't all that many surprises to be had. One running theme was the minor PlayStation 3-exclusive features that would be incorporated into several multi-format games. Battlefield 3 and Bioshock Infinite would see older titles packed-in on their Blu Ray discs, while the latter and NBA 2K12 would see support for Sony's Move motion controller. 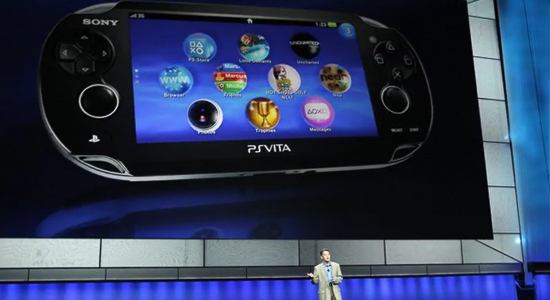 The company's upcoming portable the PlayStation Vita dominated a large portion of the conference but even this new hardware couldn't provide any particularly groundbreaking experiences. Uncharted, ModNation Racers, LittleBigPlanet and Street Fighter X Tekken were trotted out, all of which may as well be Playstation 3 ports with touch screen integration. The only original title shown for the system was Ruin, a Diablo-type dungeon hack with a strong emphasis on online connectivity and even that had a home console version that players will be able to jump between. Considering that the system is meant to be launching by the end of the year the software shown for the Vita is concerning. For the moment at least, it seems that the fears of it simply regurgitating the lengthy home cinema experience as opposed to tailoring one specifically for a portable platform are being justified. Jack Tretton began the conference the way he more or less had to: with an apology surprisingly devoid of the cynicism and vitriol that tends to drip from Sony executives' words; one might even call it heartfelt, which is all the more impressive when one considers that the intrusions on the PlayStation Network have hardly been Sony's fault. Actions speak louder than words, however, and Sony's best thank-you to its fans came in the form of the flood of incredible titles in the PlayStation canon set for release in the coming year and a half. Sony's two prize horses, Naughty Dog and Insomniac, dominated the first half of the show with the third entry in each company's respective stables used as a platform for advertising Sony's latest attempt to try to make bulky, expensive glasses look chic. Yet it was the surprise return of my PS2 trifecta favorite, Sly Cooper, that most excited me, both on principle and the stunningly updated look featured in the teaser. This after inFamous 2, Dust 514 (a new FPS branch to the staggering EVE universe) along with a BioShock Infinite gameplay trailer, a Star Trek game, and a slew of PS3 exclusive perks solidified Sony's position as the day's clear victor in the console battle for E3 dominance; yet Sony was just getting started. Looking ahead, Sony seems poised to take the lead after years of lagging behind the other two heavyweights of the gaming industry.PlayStation Vita (almost immediately rebranded "PSV") wasn't much of a surprise, but its quality was; even with the lack of a direct video feed — limited instead to an over-the-shoulder shot of a person playing onstage — the difference between Vita and its predecessor was incredibly clear. The presence of Drake and BioShock titles, in addition to home-brewed titles like Ruin and ModNation, got me genuinely excited, something the $300 price tag (for 3G models) hardly dampered — though as the general groaning across the theater suggests, I can't say the same about the announcement of AT&T exclusivity. A proud owner of an iPhone and a member of the AT&T network myself, I must still question the decision to saddle developing technology with a single provider, particularly one with such a history of upsetting geeks as this. Time will tell if that decision hinders sales of the shiny new tech this holiday season when it launches. Though I'm still crossing my fingers that all this motion-controlling, eye-popping nonsense will pass the way it did in the 80s, I'll admit I was impressed by Sony's 3D display, with its capacity to give two players, appropriately seated, entirely different views on the same television screen. As for Move, Sony's gamble paid off: if it thought having Ken Levine stand on stage and say he was on-board would convince fence-sitters to accept the motion controller, it was right. Levine's decision to also develop a portable BioShock game for Sony was almost dumbfounding. Looking ahead, Sony seems poised to take the lead after years of lagging behind the other two heavyweights of the gaming industry. Though services like PlayStation Suite, and safeguards against future attacks on PSN, were only vaguely mentioned, Sony projected great confidence and energy about the near future of their company and the network it fosters. Early on, Tretton made an appeal to gamers who, like me, had once been a part of the PlayStation family and had since left, hoping that this year's presentation would convince us that it was time to return. With a new Sly Cooper on the horizon, HD rendering of all the classic Sony games I never played, and an endorsement from Mr. Rapture himself, I might actually have been won over. I'm interested to know what others — Sony prodigals like myself, in particular — have to say about last night. Did Sony impress you, or was the absence of Twisted Metal, God of War, and Square-Enix (neither Final Fantasy nor the long-hoped-for Kingdom Hearts 3 made an appearance) enough to leave a poor taste in your mouth? Either way, the ball is now in Nintendo's court. Can the Big N wrest dominance from Tretton's hands, repeating the thrilling experience that was last year's presentation?